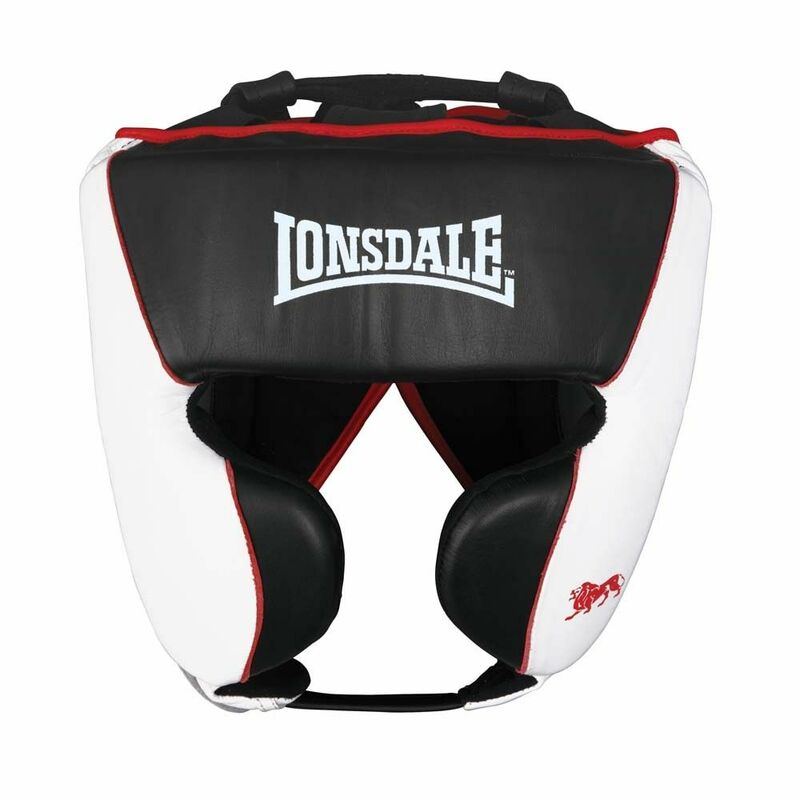 The Lonsdale mexican style headguard provides increased safety and protection. It features extra large cheek protectors that protect the nose, eyes and chin, and larger ear channels that increase comfort. The buckle chin strap, lace top and hook and loop closure ensure a custom fit and prevent shifting during the training. The headguard is made from leather. for submitting product review about Lonsdale Mexican Style Headguard.